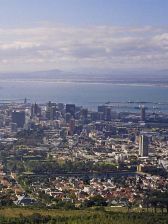 Cape Town is the most popular tourist destination in South Africa. But there is more to the city than Table Mountain, the beaches, the historical buildings and modern shopping centres. TALK Tourism has developed tours that lead you to encounters with normal Capetonians in a way that is seldom experienced by general tourists.